Cure 4 The Kids Foundation was recognized as one of the nation’s best nonprofit organizations to work for. Our organization is listed as number 23 among the top 50 nonprofits recognized in the 2019 Best Nonprofits To Work For. 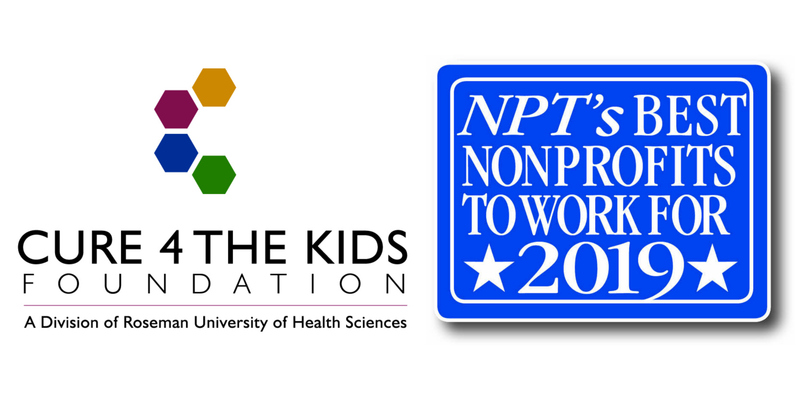 LAS VEGAS – April 3, 2019 – Cure 4 The Kids Foundation is proud to announce it has been selected as one of the nation’s best nonprofit organizations to work for, ranked at number 23 among the country’s top 50 nonprofit organizations, according to the 2019 Best Nonprofits To Work For, a nationwide survey conducted by the Best Companies Group.